New York and Silicon Valley-based distributed energy storage startup Green Charge Networks received angel funding this week from Richard Lowenthal, founder and CTO of car charging network ChargePoint. Lowenthal also will join Green Charge Networks’ advisory board. ChargePoint is installing 80 electric vehicle (EV)-charging stations in New York, having secured funding in March from the New York State Energy Research and Development Authority (NYSERDA). Green Charge Networks, helmed by CEO Vic Shao, was launched in 2009 and funded via a U.S. DOE Smart Grid Stimulus grant. It launched its latest breakthrough energy storage product, the GreenStation, at the Intersolar North America conference in July. 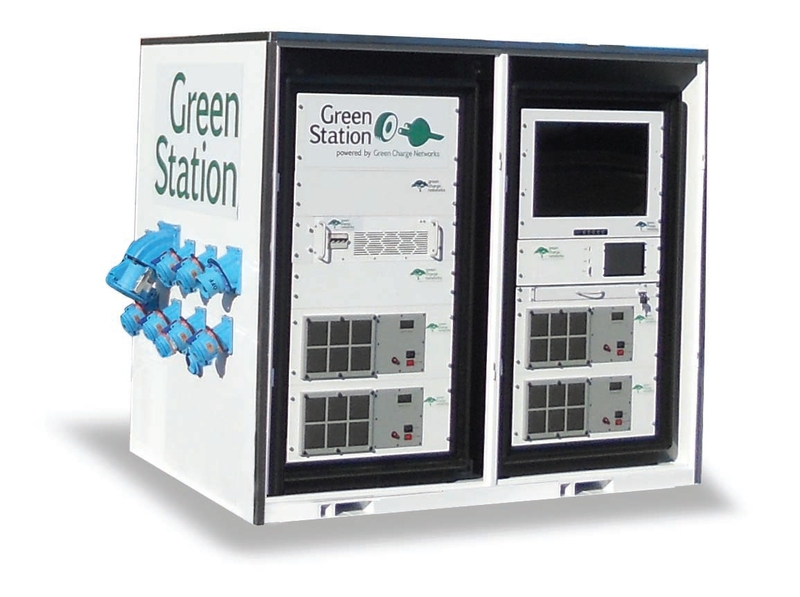 The GreenStation appliance monitors load on a second-by-second basis and counteract peaks and valleys by discharging and charging from an internal ion battery bank, saving customers up to 15% on their energy bill each month. It was field tested in partnership with the U.S. DOE through a three-years-long Smart Grid Demonstration project in New York City. On August 14, the company revealed that 7-Eleven is deploying the GreenStation in EV-charging stations in its New York City area store locations. Other customers listed on Green Charge Network’s website include Avis, Whole Foods and AAA. The company told CleanTechIQ that it is experiencing “tremendous momentum” in customer interest and has a lot of potential sales “lined up” for its GreenStation product in 2014. In terms of its investors, the company said it is being very selective, noting that it has not yet received any venture capital money. However, Green Charge Networks said it is open to discussions with other angel and venture capital investors about future investments.